Odyssey of Exile succeeds in infusing our remembrance of the Shoa with a new gender-based specificity without which the historical realm would remain remote and abstract. Odyssey of Exile paints a sensitive a compelling portrait of German-Jewish women who fled Nazi Germany in the 1930s and 1940s. Arriving in South America, they faced haunting memories of the terror they had escaped and the challenge of adjusting to Brazil's patriarchal culture, unstable economy, and tropical climate. Nine educated women from the German middle class are the focus of this volume. Katherine Morris places their memoirs in historical context, offering rare glimpses into personal histories. 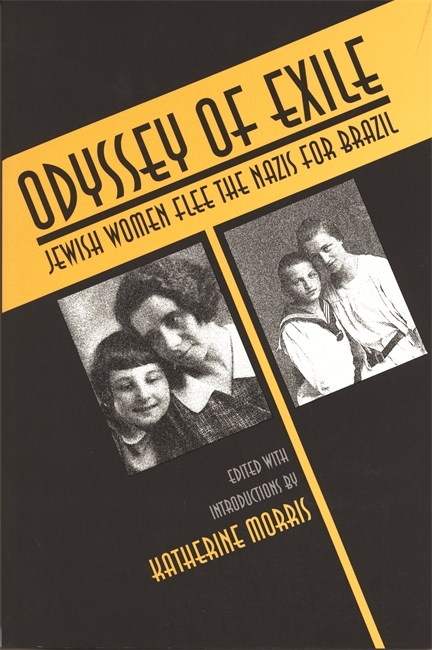 While the narratives differ in tone, subject, and approach, they share common themes: how Jewish women reacted to Nazi persecution, the pragmatic way they adapted to a new life in Brazil, and their desire to record their stories to keep the history of their families alive. Katherine Morris is the author of Sorceress or Witch? : The Image of Gender in Medieval Iceland and Northern Europe. She received her Ph.D. from the University of Texas at Austin. Katherine Morris' anthology presents a provoking spectrum of experiences ranging from childhood in Germany to Nazi persecution, concentration camps, escape into exile, transfer to Brazil, and postwar restitution. The memoirs and diaries reflect the ordeals of ordinary women and their extraordinary resourcefulness and defiance in times of terror and displacement. Besides describing the struggles and legacies of their refugee lives, Odyssey of Exile succeeds in infusing our remembrance of the Shoa with a new gender-based specificity without which the historical realm would remain remote and abstract.